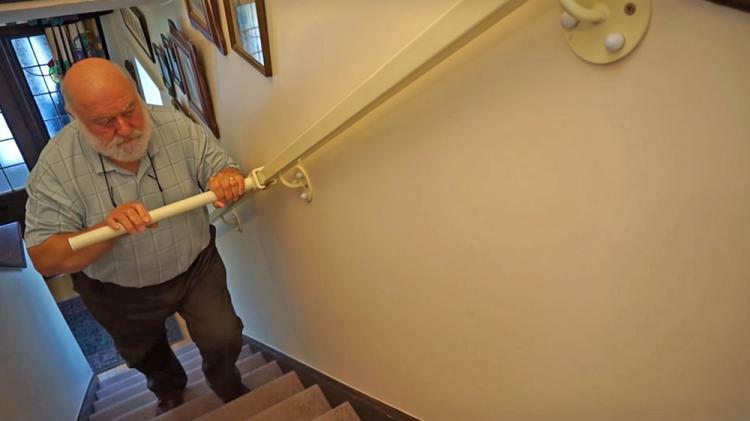 If you know a senior that's losing their mobility, but would like to keep their independence by not having to install one of those electric chair lifts to go up their stairs, the StairSteady system might be for them. 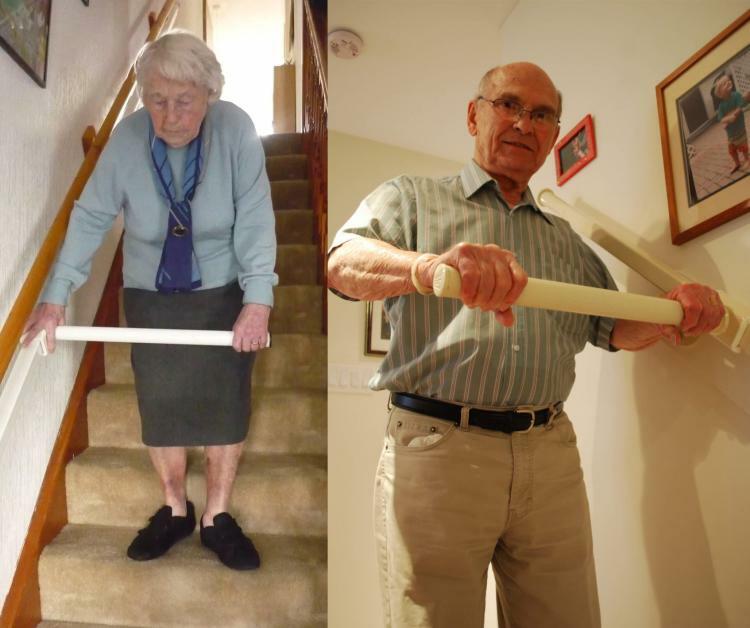 The StairSteady is a unique sliding support handle system for the stairs, it lets you still walk up the stairs on your own, but has a fully supported handle that's right in front of you the whole way up. 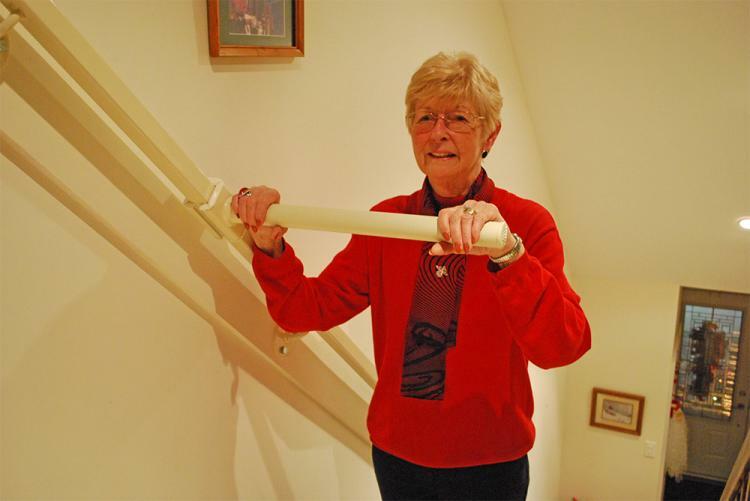 The StairSteady replaces your current hand rail on your stairs. As you ascend the stairs, the handle slides freely when pushed, but will lock in place once any weight is applied to it. It acts as a firm and secure handle going both up and down the stairs with ease. 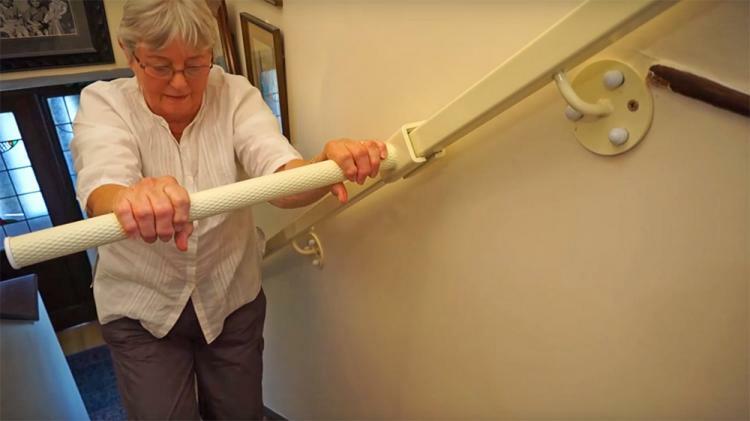 With the StairSteady, you can go up the stairs at your own pace, while both your hands are right in front of you. Once you reach the top or bottom of the stairs, the handle folds away neatly as to not stand out or be an eye-sore. 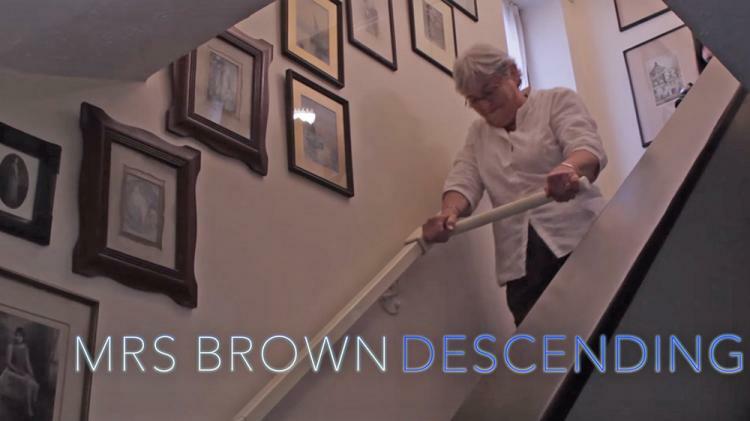 The StairSteady works on your stairs or just around your house to make it easier to get to and from your kitchen, or for use with rehab. The device is also flexible so more than one person can use it at a time, using an extra handle and end-piece. 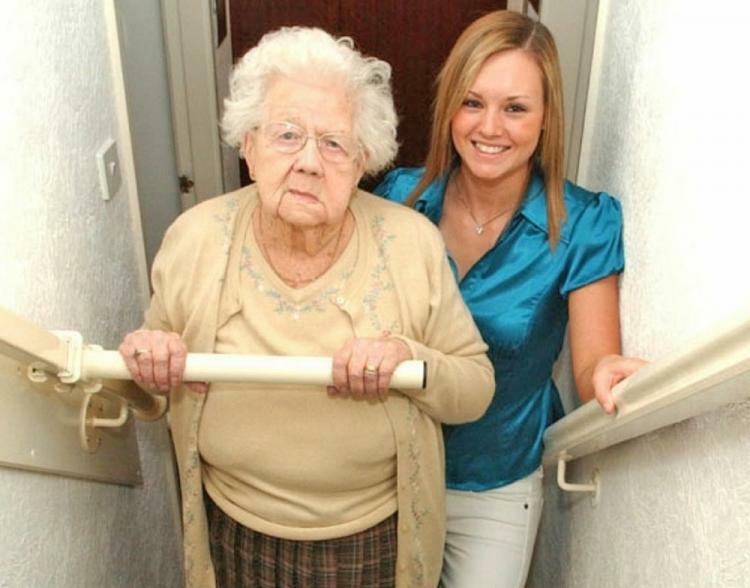 The StairSteady stairs support for seniors, is professionally installed in your home to make sure everything is secure, takes around 2 hours to install onto your stairs, is tested to support up to 350 lbs of weight, and is able to be installed onto most stairs. 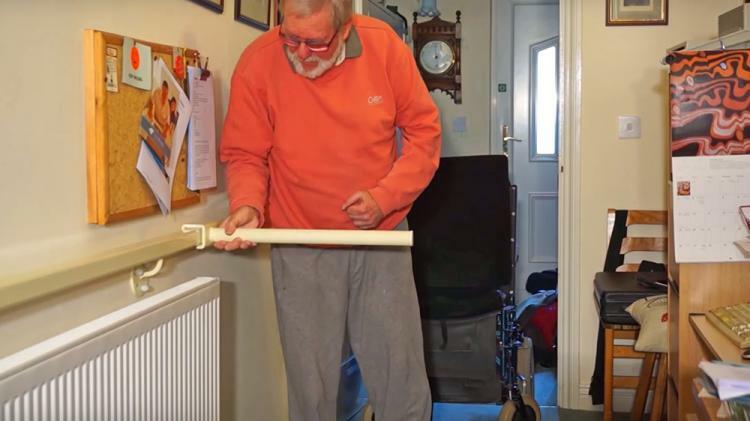 Check out the StairSteady sliding stairs support handle in action via the video below.